It is very simple to add your business. First choose which plan you wish to use, select that plan, make payment then begin to add the information that you are requested. I want to change from DIY to Managed is that possible? Yes of course it is, we would be happy to assist you with our managed services. To do we need to change your monthly fee and will be in contact to gather some more information. DIY option you have 24/7 access to your details so that you can change, add images, articles, change information to make sure your listing is up to date. You get a facebook directory listing. You are able to link out to your social media links, own website. Add information about your business, products and services. Do you offer Web Services? Yes we do this is something that can be added to at a later date. PayPal is Australia's favorite way to pay online. It's a faster, easier and safer way to make and accept payments online and on your mobile phone. You do not need to have a paypal account to use paypal checkout. We also use Paypal to process payments made via credit card. You can also pay with bank funds through Paypal. We accept most major credit cards. Home Building Central uses the PayPal system which does not require you to have a PayPal account. PayPal is a secure and easy way to make payments online and is well known and trusted by major retailers internationally. 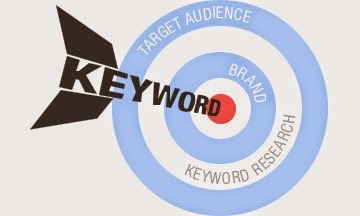 Targeted Keywords are well-placed keywords to help your business getting found online. You might ask how you go about identifying the most effective keywords that will be recognized by the search engines and that will continually drive more and more online traffic to your web presence. Careful research is very important because finding the best keywords for your niche must be the absolute first thing that you do.